Artificial Intelligence is the newfound favourite hot topic of technology veterans. And, why shouldn’t it be as it comes with some revolutionary benefits that were not possible otherwise. 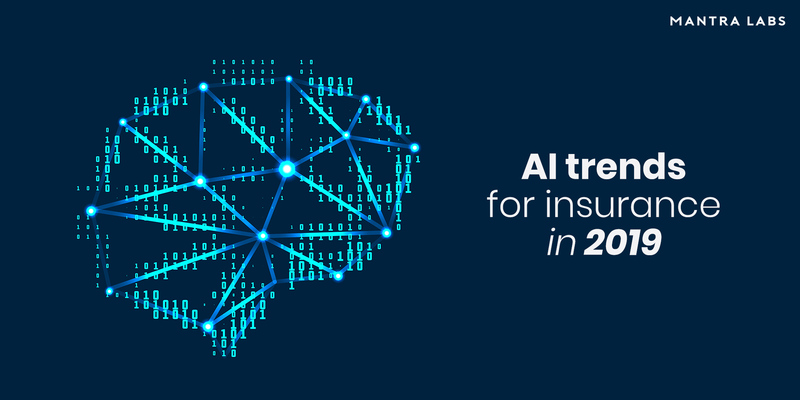 AI has already found its way into vehicles, homes, and businesses and the next on the list is the Insurance industry. Nowadays, it is quite common to find a sensor-enabled device – some examples are fitness trackers, home assistants, vehicles, smartwatches, etc. The number of similar devices is expected to grow at a much rapid rate with no signs of slowing down. New sectors such as medical devices, clothing, and others will soon join this bandwagon. The data these devices generate will help the insurance companies to gain a better insight into their customer’s behaviour and preferences. It will further help them to create offerings that are personalized and also create new product categories based on their customer’s interests. It will broaden the mental outlook of not just the customer but also help insurance companies to look beyond and think out of the box. The best example to understand this concept is through Drones that are also called UAV’s (unmanned aerial vehicles). These devices are controlled remotely and are used to examine places that are too risky for humans to reach or cannot be manually accessed. They are often used for risk assessment of sites that are destroyed to a limit that it is inaccessible. The InsurTech industry will need to churn out plans based on how increasing robots will influence their risk management strategies, change customer’s expectations and will push them to create new channels and products. As data has become one of the driving forces for various industries one can expect that multiple private and public entities will come together to create a common platform for data sharing. This platform will be GDPR-compliant and will be under a common cybersecurity framework. Big hot shot companies like Google, Amazon, and Apple can provide connected home and other data through their platforms while data from wearable devices can be sent across directly to insurance companies. It would be a beneficial step in managing the sources of data and channelizing them in the right direction. Cognitive technologies are loosely based on the concept of how the human brain works. 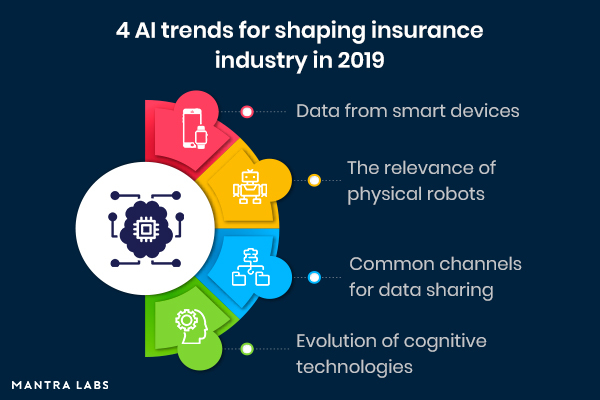 In this year, these technologies will evolve and provide a better framework for the processing of humongous amounts of data and data streams, specifically gained from active insurance products tied to definite individuals. As there is an increase in the number of entities that are commercializing these technologies will provide Insurance carriers access to models that are continually evolving and changing according to their surroundings. It will help Insurance companies to create new product categories and also improve their engagement techniques at the same time based on the real-time inputs. AI and its related technologies will have an enormous amount of effect on all aspects of the Insurance industry. It will include everything ranging from underwriting to distribution to the processing of claims. The significance of data is already visible in the insurance value chain, and with time it will just increase by leaps and bounds. The game is all about data, and there is no other technology other than AI that can make it worthwhile.